Become a Patron for as little as $1 to gain access to exclusive video features, behind the scenes and Patron-only contests. We're joined by Kingston Technology Sr. Technology Manager Cameron Crandall to talk about their new enterprise drives -- the DC500 -- and learn how Kingston is innovating in the data center, helping businesses to extend the useful life of existing hardware, improve overall performance and at the same time reduce the cost of operation. The Category5 TV Network produces and distributes family-friendly TV programming and makes it freely available to anyone in the world. 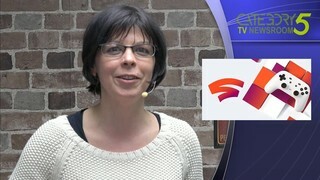 Category5 TV Network authorizes its viewers to watch, download, share and distribute its content at no charge. Video content licensed under Creative Commons Attribution-NonCommercial-ShareAlike. If you post these videos, please provide credit along with a link back to http://www.category5.tv. Please consider donating to help us offset the high cost of offering free video to you, and the entire world. Follow Us Keep up to date and receive the inside scoop!